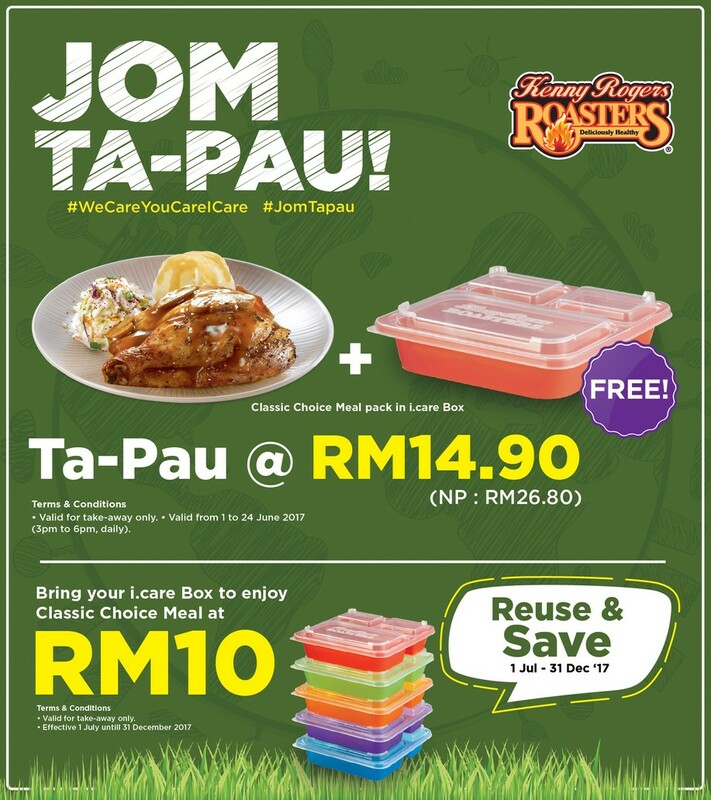 With Kenny Rogers ROASTERS’ (KRR) Jom Ta-pau initiative from 1-24 June, there are now many good reasons to ‘tapau’ – from having wholesome meals with your loved ones or colleagues in the comfort of your own space to doing your part in reducing carbon footprint. To be part of Jom Ta-pau, first get your hands on KRR’s candy coloured 3-compartment i.care boxes that come in colours of red, green, orange, purple and blue. 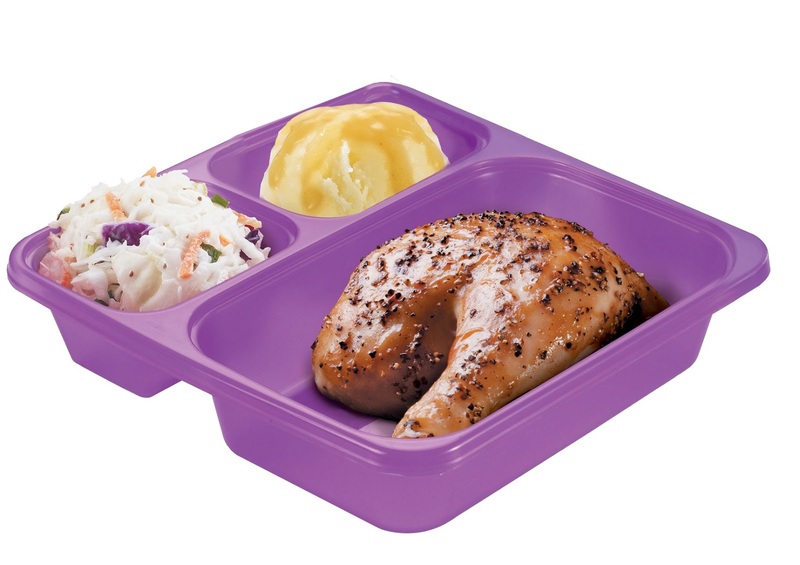 You can start collecting them by ordering Ta-pau, which is the Classic Choice meal (normal price: RM 16.90) consisting of a wholesome quarter rotisserie-roasted chicken with side dishes of mashed potato and coleslaw neatly packed in a 3-compartment i.care box (normal price: RM 9.90) at only RM 14.90. For more wholesome deals, get the Ta-pau for 2, which is two sets of Classic Choice Meal at only RM 20 for early birds. Both promotional meals are valid from 3-6pm daily, nationwide. It is applicable for take-away only. Beginning 1 July until 31 December 2017, the Reuse & Save saga continues with the RM 10 offer. KRR guests are encouraged to bring their KRR i.care box to enjoy Classic Choice Meal at RM 10 per meal.